We have just released an update to the pre-release. The software is now available for anyone to test, and it now includes tutorials you can follow to quickly get started using Pareto analysis, Control charts, and Capability analysis. It does not require an active internet connection as we no longer need to monitor the software for error conditions. We are delighted to announce the addition of the Analyse-it Quality Control and Improvement Edition to the range of Analyse-it products. The new edition includes the most impressive statistical process control (SPC) charts available in any Excel statistical software package, including Shewhart, Levey-Jennings, CUSUM, and EWMA charts. Process capability statistics and plots help you ensure a process is able to meet specifications. 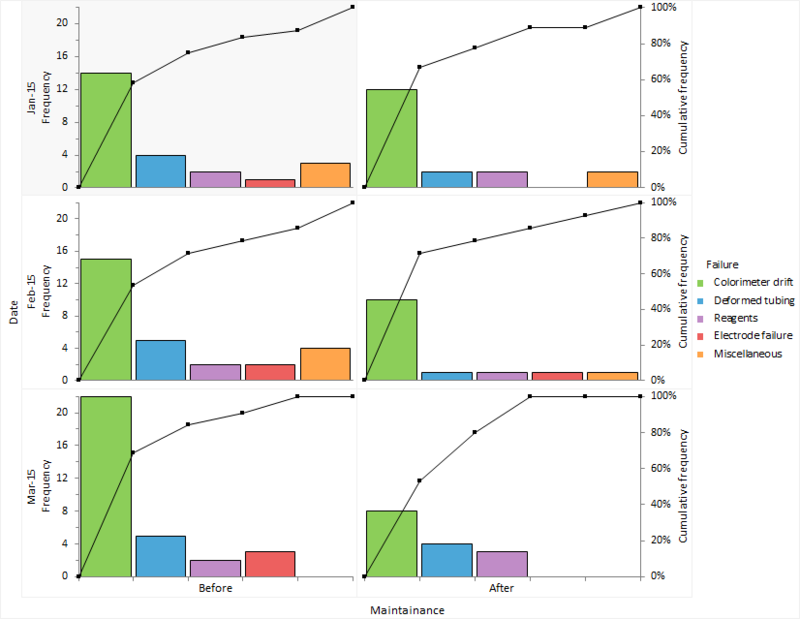 And Pareto plots help you identify the quality-related problems that need the most attention and let you monitor efforts to reduce them. Screenshot: Xbar-R chart of a quality characteristic by phase with stratification. 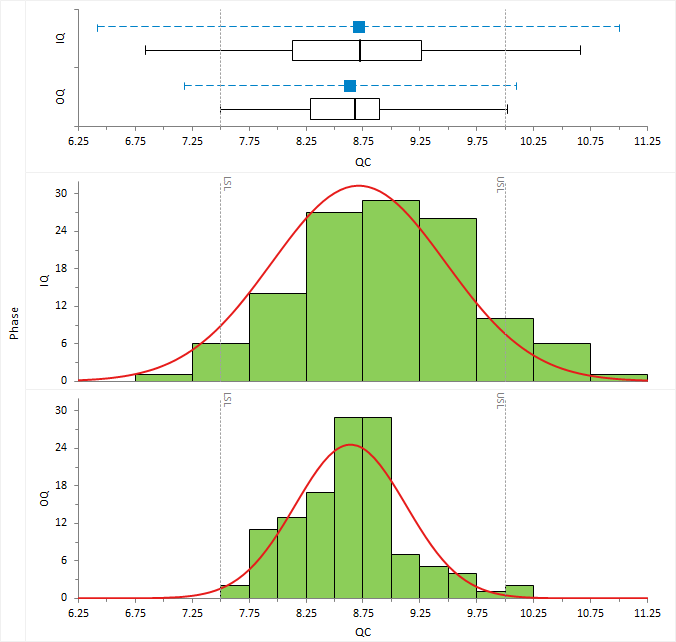 Screenshot: Process capability plots by phase. Screenshot: Pareto plot of failures with stratification and sorted by key plot. The new release is currently available for pre-release beta testing. Anyone can download and test the new release, though you will need an active internet connection to use it as we monitor usage and reliability of the pre-release. We will provide more information about the product, availability and pricing shortly, including pricing for existing users that want to upgrade to include the new quality control features. 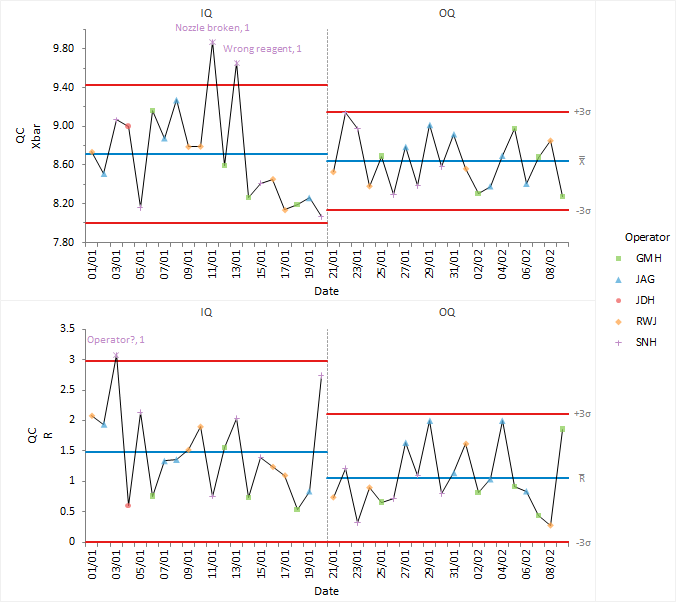 Probably the greatest concern when using statistical software is reliability. Is the software producing accurate, numerically correct results that have been validated? It’s a very important question. Many of you work in FDA and regulated environments where the penalties for mistakes are very high. And those of you outside such environments are still making important business and research decisions using Analyse-it. It’s therefore imperative that the software you depend upon is developed to a professional standard, thoroughly tested and validated. If you follow us on you will have seen that we released a new version of the Analyse-it Standard Edition, v3.0, to testing this week. That’s why we devised the .